Expectations are high after the trailer of the new Jadine film dropped on social media today. The trailer gives us a promising look at a more mature Jadine, far from the cutesy teen days that jumpstarted their careers. While production issues threatened the release of the film earlier this year, the end result looks to be visually stunning and even more polished than the director's earlier works. 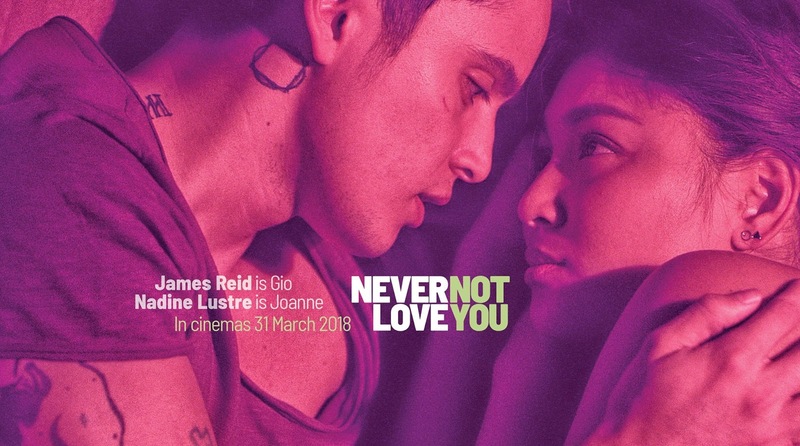 Never Not Love You is written and directed by Antoniette Jadaone who created the critically-acclaimed, box-office favorites 'That Thing Called Tadhana' and 'Love You to the Stars and Back'. It opens on March 31 in PH cinemas.